My name is Bret Johnson and I started this company to help people like you cut one very annoying chore out of their life – the weekly cutting and maintenance of the lawn. 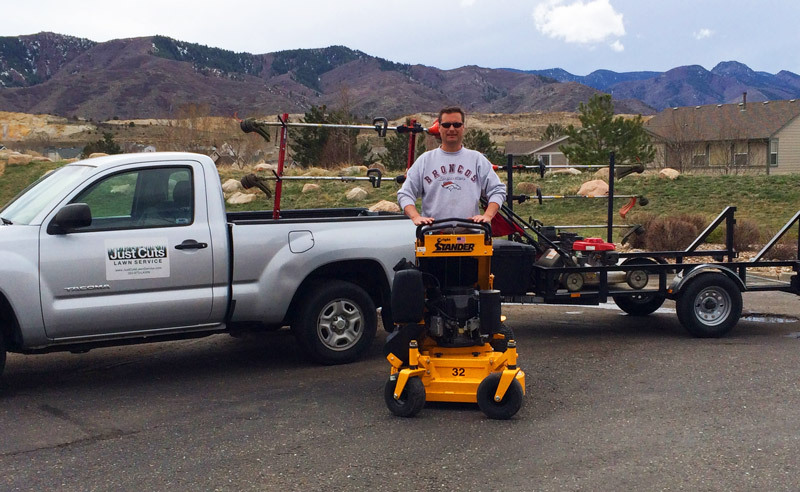 We serve the areas around Lone Tree, Highlands Ranch, and Roxborough. See our service area map and services page. It’s March 29th. Spring has sprung and the sun is shining on a brisk Saturday morning. You roll out the trusty lawnmower and top it off with gas. 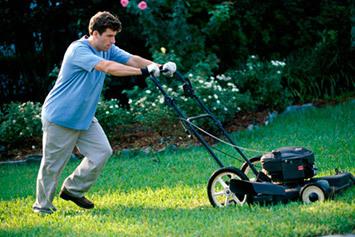 It starts on the first pull and cuts the grass beautifully in just 30 minutes. The lawn is already looking sharp and it’s not even April yet. Fast forward 4 months. It’s mid-July and a scorching 90 degrees. You haven’t cut the grass in 2 weeks because of all the graduation parties and baseball games. You roll out the lawn mower to try to get the grass cut late on a Sunday and realize you’re out of gas. A quick run to the gas station and you’re back just before the sun goes down. No big deal. You can cut the grass in the dark. But the mower isn’t even starting on a full tank of gas. You’re gonna have to take it in to get fixed. You think to yourself, “I should have hired a lawn service this year.” The excitement of cutting the lawn for the first time in March has worn off and your grass is growing weeds because it’s getting so long. We specialize in one thing at Just Cuts Lawn Service – we “just cut lawns.” We do offer fertilizing also, but we purposefully keep our services simple so we can be specialists in what we do and deliver superior service. I have spent years watching other lawn care companies run inefficient lawn cutting services with poor service and results. I learned from their mistakes, streamlined our service, and cut out all the waste so we can deliver the best service at a surprisingly low price. We save our customers $100 per season on average! We use the appropriate equipment for your yard. You will not see us trying to cut a small lawn with a mower the size of a car. We do not drive giant diesel trucks that get four miles to the gallon. We drive small 4-cylinder trucks that get 35 mpg and are just big enough to carry our equipment. We keep our overhead low. We do not rent a huge office with a massive garage, but instead store equipment at a facility that is 1/10 the cost of competitors’ storage. We track and route our crews efficiently with GPS to cut down on wasted travel time and gas. By saving money with these efficiencies, we are able to attract the most talented workers with higher pay. 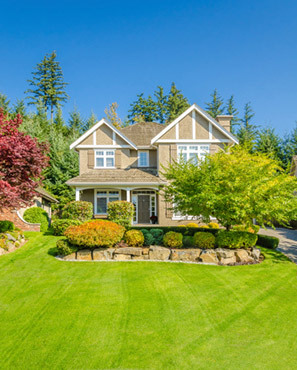 The outcome is better results for your lawn. We offer a pay-per-performance bonus structure to employees to ensure that high quality is maintained.